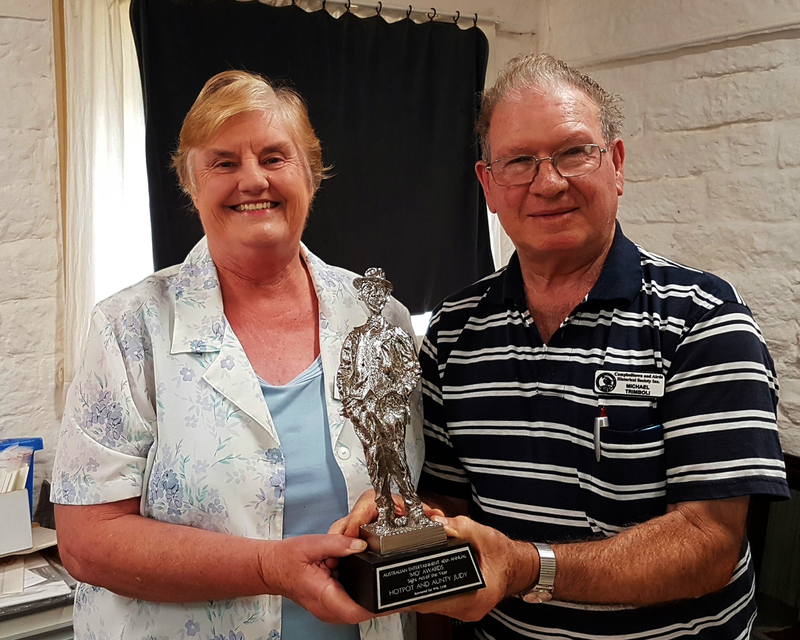 Campbelltown and Airds Historical Society members Judith and Michael Trimboli were honoured with a prestigious Mo Award. The Mo Awards, the most prestigious award for live variety entertainment was inaugurated in 1975. One of the early members was Johnny O’Keefe who was keen to see live performers acknowledged for their contribution to the world of entertainment. Since then many thousands of entertainers have been voted by their peers as worthy recipients of the award. The Mo Awards are presented each year at a glittering evening held in a Club. This acknowledges that the clubs are still the main venues for live variety entertainment. There are many categories and we were absolutely thrilled to find that we were voted the most popular entertainers in the Sight Act section for 2016 for our Hotpot and Aunty Judy Show. Our daughters performing as The Gigalees were also delighted to receive the award for most popular Children’s Show. The ‘Mo’ Awards honour Australia’s ‘MO’ McCackie – one of the greatest Australian vaudevillian/comedians of the 20th century.